DAIMONOLOGIA: How Should We Understand the Visions of Aerial Toll Houses? Anyone familiar with the basics of Orthodox theology understands that such a teaching should not be taken literally, but rather symbolically or figuratively. This is especially based on the patristic principle summarized by St. John of Damascus: "After death there is no repentance." Another principle states that "every soul will be judged based on the state it is in at the moment of death." And finally, nowhere in the Christian tradition does it say that demons will judge souls after death, nor angels, but it is God who is "the judge of all the earth." Toll house literalists usually believe these doctrines, but the more detailed toll house visions contradict these teachings if taken literally. Demons do not only accuse in these visions, as many assert, but they pronounce the judgment as well. And sometimes the defending angel will try to convince the demon that the soul has repented. But if the soul had repented, it would not have been accused, therefore it is teaching that either the soul can repent after death, or the angel and demon are play-acting. Clearly such visions, if true, have another meaning besides a literal meaning. When reading all the ecclesiastical references to the aerial toll houses, there are three possible ways we can understand them based on the context in which they are referenced. These I will represent through the teachings on this subject based on three holy and revered personalities of the Orthodox Church - St. Niketas Stethatos, Elder Sophrony of Essex and St. Paisios the Athonite. There are three stages on the spiritual path: the purgative, the illuminitive and finally the secret, through which we are perfected. The first pertains to beginners, the second to those in the intermediate stage, and the third to the perfect. It is through these three consecutive stages that we ascend, growing in stature according to Christ and attaining "mature manhood, the measure of the stature of the fullness of Christ" (Eph. 4:13). The purgative stage pertains to those newly engaged in spiritual warfare. It is characterized by the rejection of the material self, liberation from material evil, and investiture with the regenerate self, renewed by the Holy Spirit (cf. Col. 3:10)... Its final goal is that we should be forged in the fire of ascetic struggle, scouring off the rust of sin, and steeled and tempered in the water of compunction, so that sword-like we may effectively cut off the passions and the demons. The illuminative stage pertains to those who as a result of their struggles have attained the first level of dispassion. It is characterized by the spiritual knowledge of created beings, the contemplation of their inner essences and communion in the Holy Spirit. When a soul is well prepared and ascending to Heaven, the demons can't assault it. If it isn't prepared, it is tormented by the demons. Sometimes, God may allow a soul with unpaid debts at the time of their death to see the toll houses, so that we, who will continue to live, struggle to repay our debts here. Do you remember reading about the event with Theodora? In other words, God provided that some people see certain things to help others repent. In the life of Saint Euphrosynos, for example, we read that after the vision he experienced, the Abbot found himself with the apples in his hand for the others to see and be helped in their spiritual life. Based on these three understandings, we understand that the visions of aerial toll houses are not a literal reality of something that happens to the soul after death and is experienced by all, not even by unrepentant sinners. 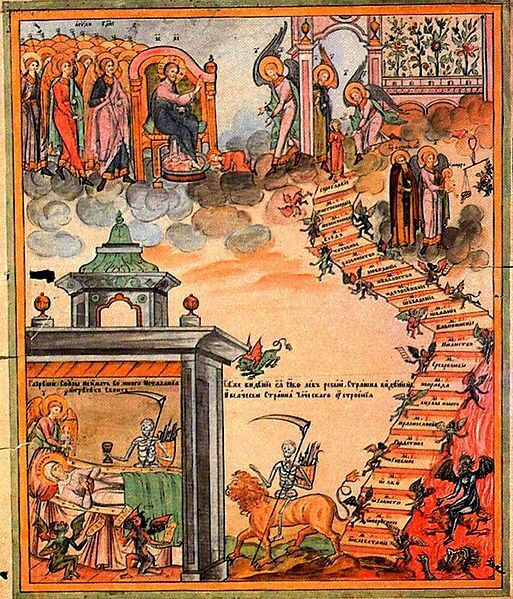 St. Niketas teaches us that it is figurative of the ascent of the soul to perfection in this life, after undergoing various demonic trials through the stages of the purification of our passions and the illumination of our soul. Following the train of thought of St. Niketas, Elder Sophrony sees the toll houses as a symbolic reality of the soul that has not been purified of its passions in this life, and is now choked and stifled in the next life by the passions and attachments to this world which it cannot satisfy without a body. Lastly, St. Paisios views these visions as not a literal reality of every soul, but as visions in order to benefit others and teach them to repent, even if they repent at the last minute and escape what Elder Sophrony describes as the choking and stifling of the soul after death. All three of these interpretations compliment one another and form a complete and proper understanding of what the visions and references to the aerial toll houses signify in our Orthodox tradition. 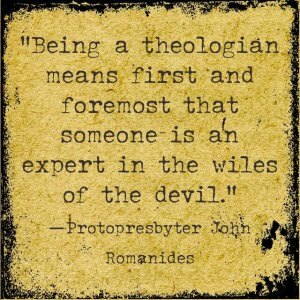 Those who have expanded this teaching to make it a literal reality do so not on the basis of Orthodox theology, but based on outside influences or a simplistic understanding of the matter.